Emily is one beautiful bride! She wore a simple but gorgeous lace and organza wedding gown that fit her sweet and loving personality perfectly! 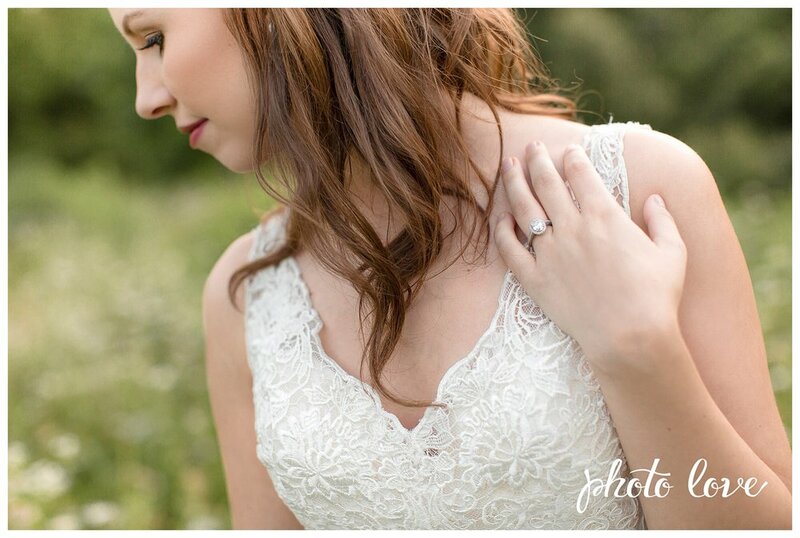 We love the intricate details in the lace on the bodice of her dress and how soft and flowy her skirt was. 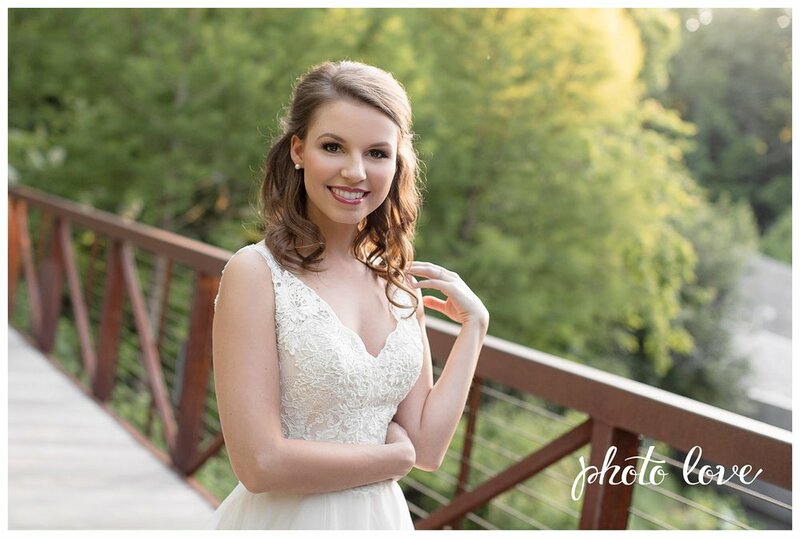 Kaity took Emily's bridals on the grounds of the Crystal Bridges Museum of American Art. With over 120 acres of land, Crystal Bridges provided Kaity and Emily with tons of unique options for backgrounds. We especially love the photos of Emily in the flower field. She looks so happy and at peace! Kaity loved working with this amazing bride and can't wait for her wedding to Beau in just a few weeks!